… Gallix places Rose’s work alongside any number of famous literary silences in the face of imperfection: “Rimbaud’s renunciation of poetry …, the Dada suicides, Wittgenstein’s coda to the Tractatus, the white paintings of Malevich or Rauschenberg, Yves Klein’s vacant exhibitions, as well (of course) as John Cage’s mute music piece.” Gallix describes the appeal of “absolute whiteness,” untrammeled potential. 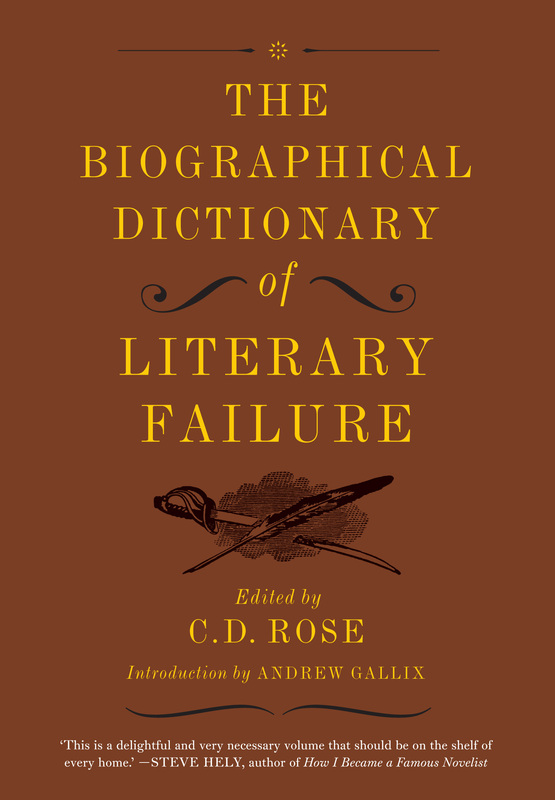 This entry was posted in About, Phantom books and tagged andrew gallix; hp tinker, biographical dictionary of literary failure, cd rose, jamie fisher, los angeles review of books, review. Bookmark the permalink.